This is how Dodge does 4-doors: It pours on the attitude, distinctive style and plenty of horsepower. 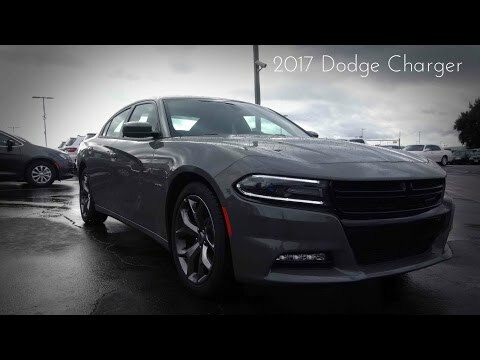 The 2017 Dodge Charger is a bold motoring statement, an unapologetic American sedan and it's available in a wide variety of flavors, including over a half-dozen trim levels. And our available engines range in output from 292 horsepower to a truly incredible 707 horsepower. My awesome charger. It has lots of power and sounds great, too! My charger is a very fun car to drive. It has a lot of power, and has no problem getting up to speed. It sounds great when doing it, too. It has the heated front seats. I haven't ever owned a car with heated seats before. It is just now starting to get cold out, and I have had the opportunity to use the heated seats and I have decided that they are pretty cool. I had to read the manual for my car, because it has a lot of options that I didn't know how to use. The manual has been very helpful. The Uconnect system is not as good as OnStar that Chevrolet cars have in them. I think that Dodge needs to work on the Uconnect system. To be honest, the Uconnect system is about the only thing I do not like about this car. It is a very comfortable car to sit in and drive. I am still reading up on the options in it, but overall, it is a great car. The inside of my charger is in all red leather. It shines in the sun. I love my Dodge charger so much! It is a very reliable car. The sound the car makes when I accelerate or rev my engine is awesome! But it is a gas guzzler, especially when you only use the good kind. My car is all black with my tints black. I had my interior changed to all red. It really is a lovely car. My car is very comfortable I just want to drive it all day. The seats are leather so it squeaks a little when you move too much. To maintain such a wonderful car is a lot of work. I get it washed every 2 weeks and getting my car fixed is expensive. I had added sound systems to make my car louder. I have a hellcat!